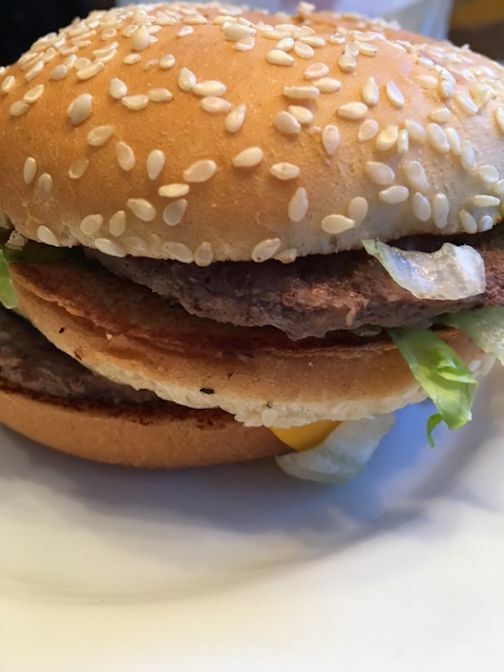 Can you tell which one is the Big Mac and which one is the Big Mack? We used the Home and Family Top Secret Copycat Recipe and had a taste test. 1. 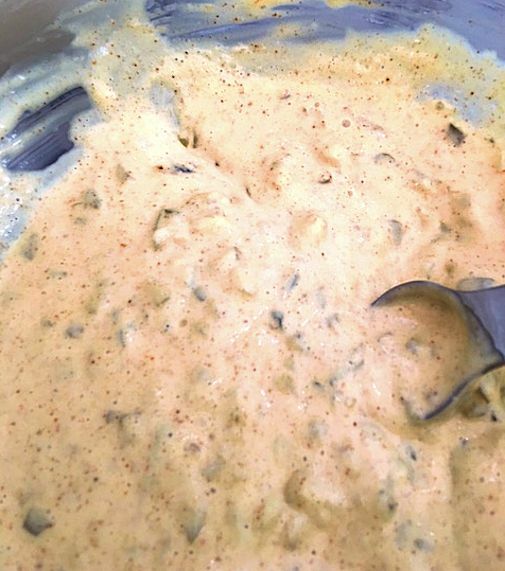 Mix together the sauce ingredients in a small bowl, then cover and chill the sauce until it’s needed. 2. Use a kitchen scale to measure out 1 3⁄4-ounce portions of the ground beef and form it into balls (or estimate making balls that are slightly bigger than golf balls). Press into patties and cover and place them into your freezer for one hour. 3. Pre-heat a griddle or large skillet to medium/low heat. 4. Slice a thin layer off of the bottom of each of the extra bun heels. These will be your center buns, or clubs. 5. Lightly brown the faces of all of the buns (both sides of the club) on the hot griddle or pan. 6. When the buns are browned, cook the beef patties on the hot griddle or pan for 2 to 3 minutes per side. Lightly sprinkle salt and pepper on each patty as they cook. 7. While the beef is cooking prepare each sandwich by spreading a couple teaspoons of sauce on the face of the bottom bun and on one side of the club bun. 8. Sprinkle about a teaspoon of onion on top of the sauce on each bun, followed by about 1⁄4 cup of chopped lettuce. 9. 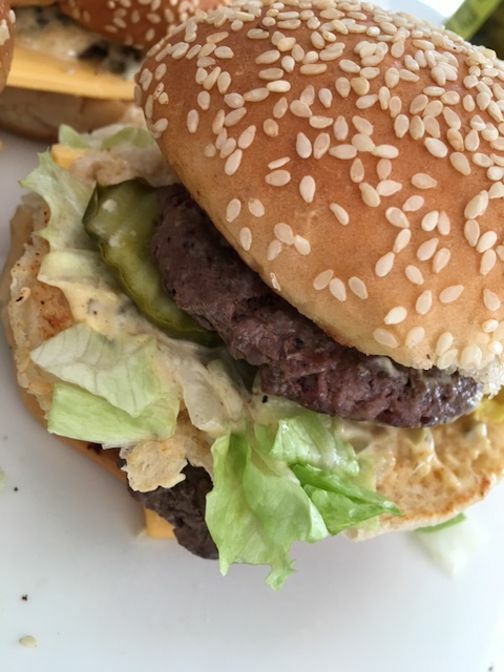 Lay a slice of American cheese on the lettuce on the bottom bun, and 2 to 3 pickles on the lettuce on the club bun. 10. Arrange a beef patty on the cheese, and another one on the pickles, then place the club bun onto the bottom bun and top off the sandwich with the crown. Microwave on high for 15 seconds to warm and soften the buns. The Big Mack is choice…A. It was actually very good. It tasted a lot like the original and I would even say a little better. We’ve decided to keep this in the rotation. I bought more sesame seed buns tonight and they are safely residing in the freezer for our next Big Mack Attack! 2 Responses to Big Mac or Big Mack? Food tasting tests are way better than scholastic evaluating tests..right? Spoken like a real teacher!